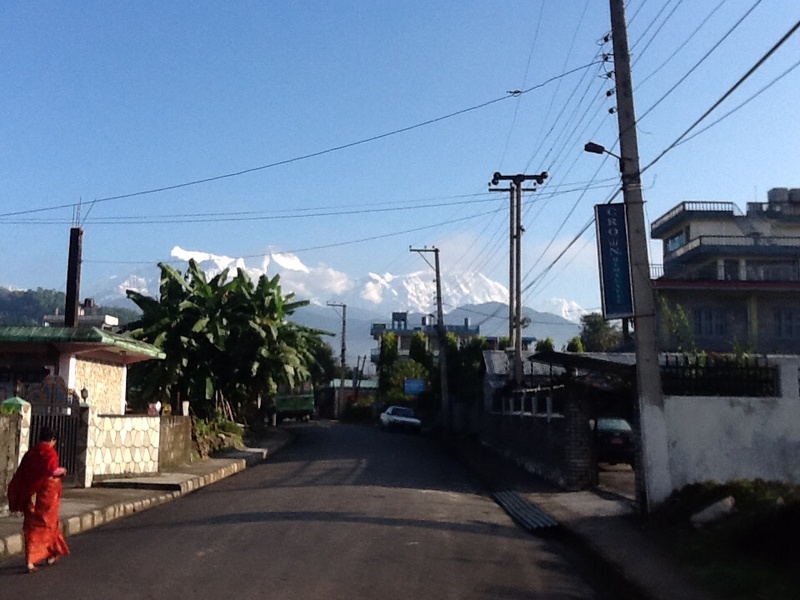 Pokhara, Nepal. IPad does not zoom, so these do not translate. These mountains are amazing to behold. We are off today on the trek. Rained as we got here yesterday, two inches at least with hail. Eight hour bus trip, two flats, felt every bump. Wife maintained stiff upper lip, I was not as tranquil. Adapting to less luxuriant lifestyle, instant coffee, hard boiled eggs, oatmeal, dahl baht. Beer rare to find, but I am persistent. Namaste. Are those mountains real? They look photo shopped. I call corporate control. Without you here the Broncos are getting killed. 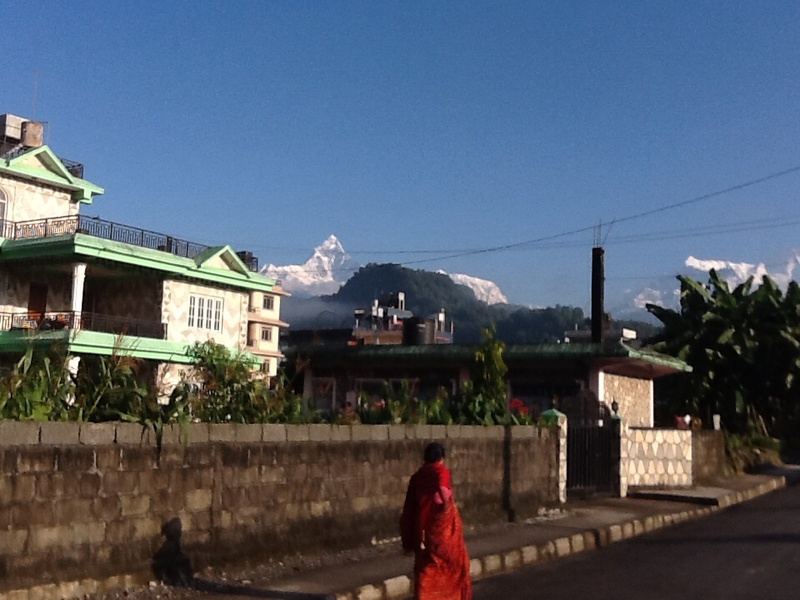 Ahhhh… Annapurna and Machhapuchre! The Kali Gandaki, Shey… all on my bucket list after I read the Snow Leopard. We are in our sixties, JC, and this trip was extremely taxing. As beautiful as everything was, and as wonderful as the Nepalese people are, I may never walk another staircase. I’m going to get one of those escalators you attach to your bannister. Our second day was a 4600′ climb, the first 2500′ comprised of 3300 stair steps. Remarkable feat of labor for those who built it. We’ll never be here again, but if you ever have the chance, JC, get your feet on the ground – expenses are very low here and tourism is very important to them. We are not intruders.